A buffet like Vegas knows how to do. 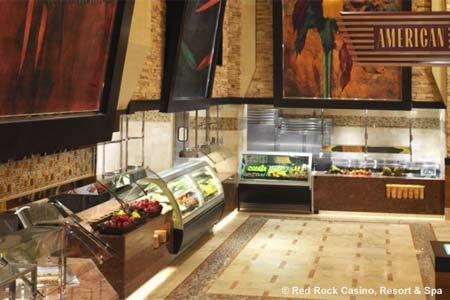 : Replicating the beauty of the nearby Red Rocks for which the resort is named, the atmosphere of this spacious buffet is relaxed and comfortable. Its colorful farmers market displays an array of salads, fruits and all the trimmings. Six live-action stations turn out cuisine from around the world. Among American choices are fried chicken and carved-to-order turkey. Southern selections include cornbread, pork chops and dirty rice. Among Chinese treats are egg drop soup and sweet-and-sour chicken. At the Mexican station are fajitas, tamales and corn. The Italian display features pizzas and pastas. 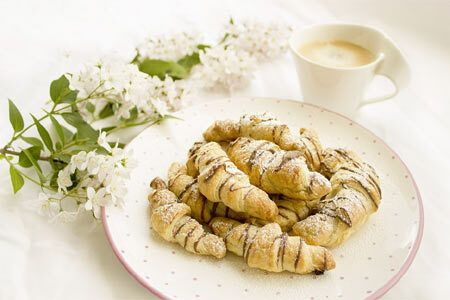 Splurge on cakes such as Black Forest, pastries like chocolate éclairs, fruit and cream pies, and cookies, plus ice cream cones and exotic flavors of scooped-to-order gelato at the expansive dessert station. Breakfast $10.49 (children 2-10 $7.49); Lunch $11.99 (children 2-10 $8.99); Dinner Sun.-Thurs. $18.99 (children 2-10 $13.99), Fri.-Sat. Prime Rib & Shrimp $21.99 (children 2-10 $16.99); Brunch $18.99 (children 2-10 $13.99).